I found out about baileydoesntbark's Etsy shop last Saturday while doing my treasury... this little shop is a treasure itself! totally what I am craving for at the moment. 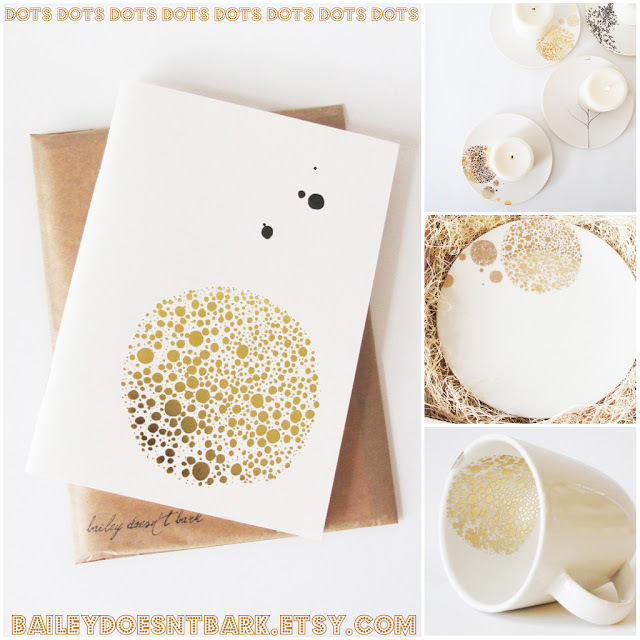 I like the association of gold with white, and I am very fond of designs with dots too. That could become the theme for a collection; how pretty, isn't it?